Lake Jacksonville Association is hosting the annual July 4th Fireworks Display on Lake Jacksonville! Hook's Cookin' will be open from 11 am until 10 pm with a full menu. Beginning around 9pm. The Fireworks will be launched from barges in the main body of the lake, out from the mouth of Cat Creek. 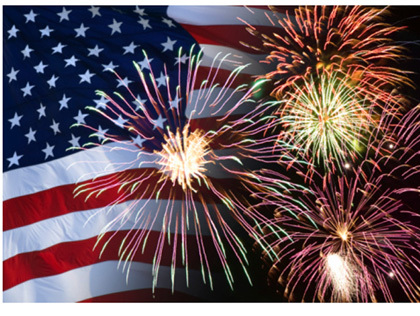 Recommended around 8:15 pm, please stay clear of that area in watercraft so the barges with fireworks can be set up. Donations are still needed and can be donated several ways: 1)mailed to Lake Jacksonville Assn., P. O. Box 33, Jacksonville, Tx 75766, 2) on-line thru the Lake Association's website. www.lakeJacksonville.org or 3) by dropping off donation at the Chamber Office, 526 E. Commerce located inside the Norman Activity Center.